Baby time, snuggle time, comfy time… that’s what I think of when I hear Saranoni. This company believes the things you love most should grow along side you. You may as well look for the best in something that will be providing you warmth, comfort and security like they say! They are one of the softest blankets so I just had to reach out to them, they are truly feather soft. Choose from lush, swirl (added texture), satin or bamboni! Bamboni, is made with bamboo fibers and so lightweight and super snuggly! Starting off with adorable baby blankets are the Lush luxury mini blankets shown above. They have tons of colours to choose from and even some with adorable borders. They are the perfect size to give full coverage to your little one in their car seat or stroller, and small enough to bring in the diaper bag. Then the baby blanket which is perfect to lay under the baby on the floor or bed. Next up they have toddler to teen blankets then of course adult blankets. I always have at least 2 large throw blankets on the couch, I love bundling up since I’m always cold. Guess what else they have thou? Snugoni’s! Cute name for their luxury swaddling blankets. 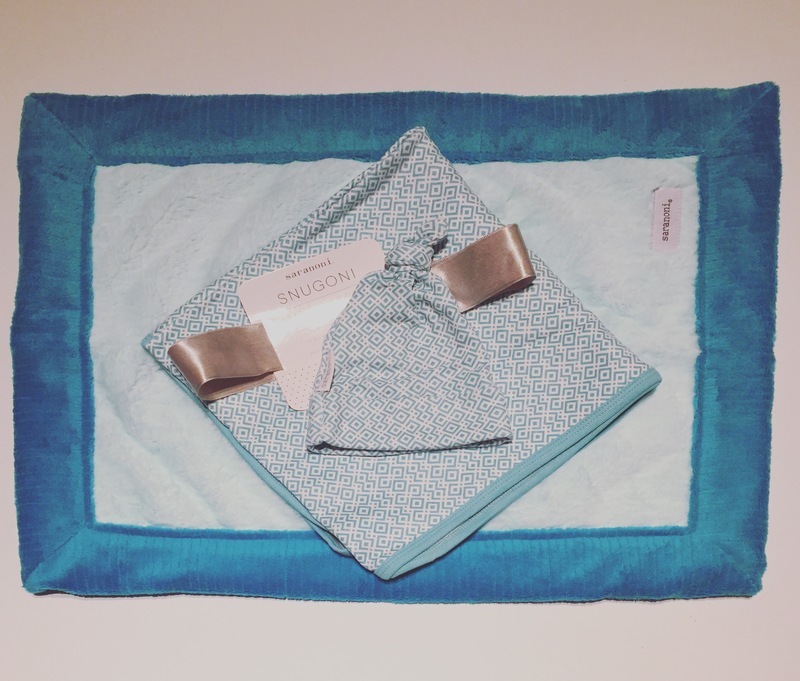 These are great for swaddling or receiving as they are super breathable. Also great as a sun shade, burp cloth or nursing cover, and it comes with this adorable little beanie! So cute and tiny!